Valentine’s day is around the corner and you have to plan a lot to spend the special day with your partner. The first thing that must be involved in your planning is the selection of impressive gift items for your loving wife. Because gifts play a very important role to make someone feel special. So, if you want to do something different to delight your lovely wife and want to make her feel special then you must give her lots of gifts according to her interest. Your wife is the most important person in your life, but because of some responsibilities, you are not able to say to her that how special she is for you. So, whenever you get a chance to tell her how much you love her, then never miss it out. In this article, some of the distinctive Valentine gift ideas are discussed below which will surely help you to show your love for your wife. Arranging a romantic Valentine evening helps you to express your feelings for your wife without saying a single word. The evening says a lot itself. A delightful evening full of romance and romantic gifts makes your partner feel like heaven. You can arrange a beautiful evening with varieties of flowers, candles, balloons, chocolates and so forth. And the most important thing is to order a super delicious dinner for her with a heart-shaped cake. Women love to taste the meal cooked by their husband, therefore, preparing her favorite meal is also a good option for gifting her on Valentine’s day. Celebrate Valentine’s day by cooking a meal for your lovely wife, this will surely make her delight as well as emotional. It is the best way to impress her. Hence, having a nice and cozy dinner with a romantic ambiance at home would be an excellent idea to celebrate Valentine’s day. If your wife is a working lady then giving her a self-pampering session is the best idea to show your love and care for her. Because at home and office, most of the time she works hard for the sake of the family. And, do not get enough time to take care of herself. So, give her a spa session in her favorite parlor to make her feel relaxed. This Valentine gift will definitely help her to get rid of the whole day stress and mental pressure. Nothing can beat the magic of personalized gifts when it comes to gift something heart-touching to your special someone. Yes, it is one of the best Valentines day gift for her. Because the thoughtful gifts show your special care and attention for her. Giving her a personalized gift, shows your efforts that you put into choosing it. Therefore, you can give her a lot of personalized gifts like personalized mugs, photo frames, cushions, teddy bears, etc. As you know women love shopping. Then, why not to take her shopping on Valentine’s day? Well, take her shopping on Valentine’s day make her more delighted than ever. Shopping is the women favorite work which they can do even in their hectic schedule. So, take her shopping at her favorite place and make her feel surprised. And, you can also give her gift vouchers, free shopping cards, your credit card, and so on. A woman wants to spend a lot of time with her husband. But, due to busy schedule and family responsibilities both of you do not get sufficient time to spend with each other on a daily basis. Hence, there are some special occasions on which you can spend time together and express your love and feelings openly, Valentine’s day is one of them. So, do not miss it at any cost. Take her out for the whole day and spend quality time with her. Flowers can speak the language of love. Different types of flowers have different meanings. So, you can make your wife feel special on Valentine’s day by giving her roses or bouquet made up of different types of flowers. With the help of flowers, you can show your love, affection, and adoration for your dear wife very easily. So, delight her day, by giving her a flower or a bouquet in the morning and see a big smile light upon her face. If you do not want to go outside to celebrate the day of love, then you can also celebrate it at home with your wife by helping her in doing the household activities. Yes, it is also a good idea to celebrate valentine’s day with her. Your help and support is the priceless gift you can gift her ever. A woman likes the attention, support, and love of her husband more than an expensive gift. So, gift your love and support her on Valentine’s day. Give her a surprise gift by secretly inviting her parents and family members for dinner on Valentine’s day. If you respect her family members equally as you do for your parents. Then, it is quite enough to win the heart of your wife. This is the best way of showing your love for your wife on the special occasion of Valentine’s day. This will surely make her closer to you. So, do something unique for her and make a permanent place in her heart. 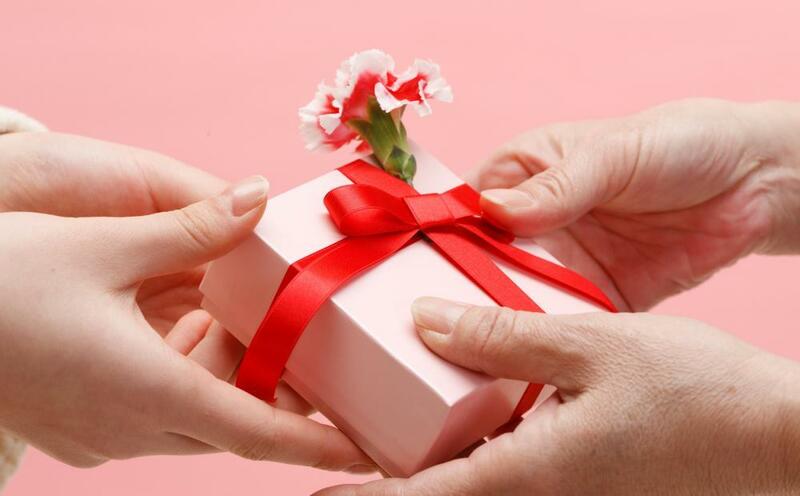 Thus, these are the most valuable and unique gifts, you can give to your wife on the Special occasion of Valentine’s day.